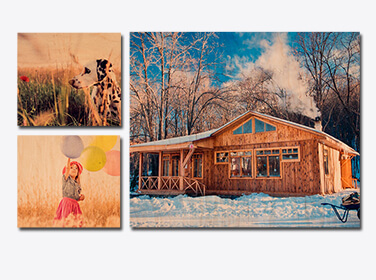 65% OFF WOOD PHOTO PRINTS | PROMO APPLIED! 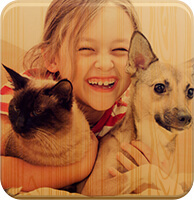 Print On Wood and Preserve the Memories Forever! Have A Perfect Memory That Is Seared In Your Mind? Now You Can Share It With Your Loved Ones. 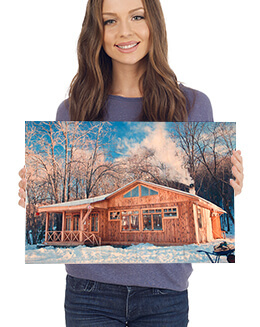 Wood Prints are available in six trendy sizes. 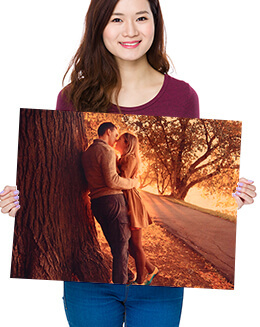 Your favorite picture is printed directly on premium wood and it gives your photo a very unique appearance. Custom Wood Prints printed on 1.0” thick quality wood. Each Wood Print Wrap is finished with a protective laminate and you can dirt free with a dry napkin. 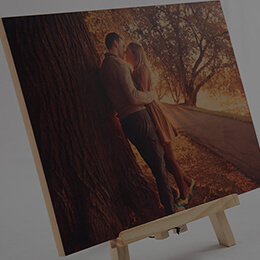 Share your splendid picture with the impeccable blend of elegance through single piece wood prints and add life to your digital pictures. 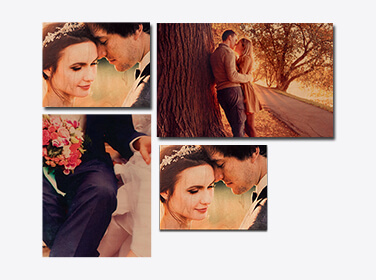 Share your special moments in a personalized manner by either narrating a story or expressions during an event with three print wood panels. 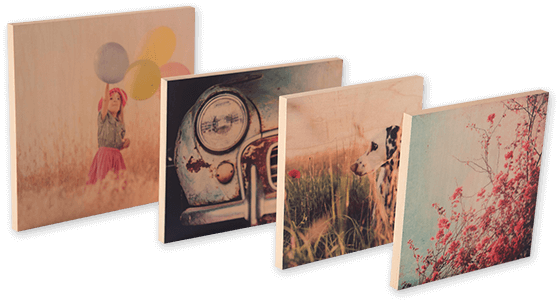 Let your guests know about your creative side with the artistic four piece wood prints and narrate your special moments distinctly. 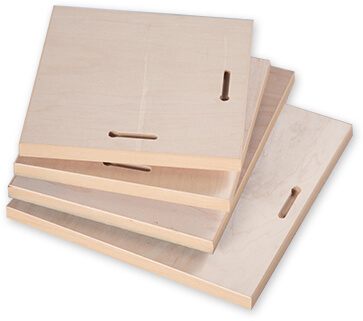 In order to keep the product lightweight and durable, we offer a standard thickness size that is 1.0”. 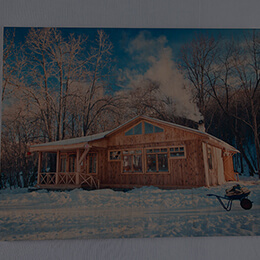 This is the ideal thickness to print premium quality about Photo Prints on Wood with high resolution photos. 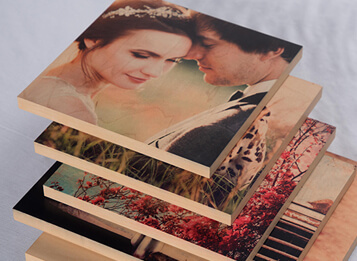 Adorn your wood prints with special effects to give them more appealing look. With Canvas Champ design tool, you’d be able to add some really astonishing special effects to your pictures to give them more detailed and prolific appearance. 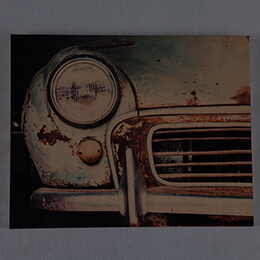 All our wood prints are equipped with a groove, which means that you can hang the picture with a screw. The print will not lie flat against the wall; instead, it will be mounted almost half an inch away from the wall that will give it a float effect. 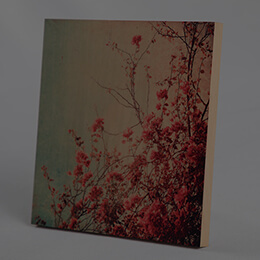 The Wood Photo Printing takes place on Chromaluxe Wooden Panels. 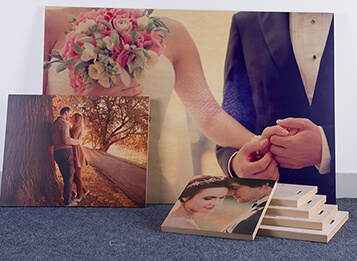 Beside the photo resolution and other parameters, quality of wood plays an invincible role in deciding the appearance of your wood prints. 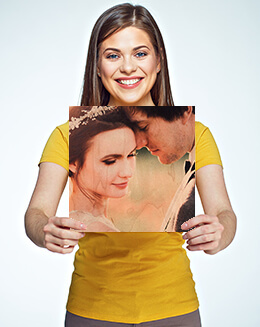 To ensure that you get the best with them, we use only the recommended best quality woods to print your lovely moments. 1040 DPI is the best DPI. 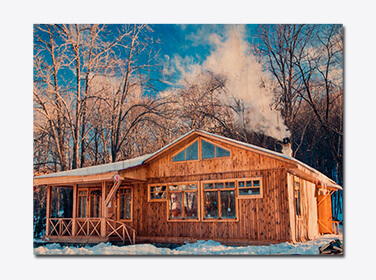 Our experts believe that to print photos on woods, one requires a defined DPI so as to have best results. 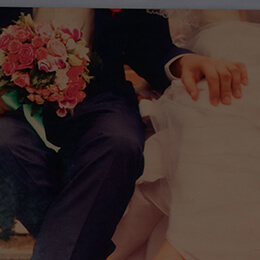 After a thorough analysis, they recommend 1040 DPI image as standard. Only premium quality wood goes in the making of our products. 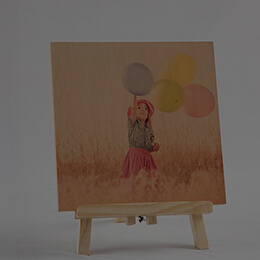 We use MDF composite wood material, which makes sure that the product will last you forever, just like your memories. We print directly on wood with permanent UV ink so that it reflects the unique natural patterns of the wood itself. 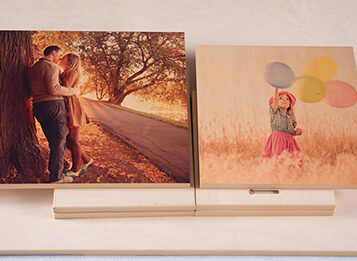 our wood photo prints will turn your personal photo gift into a modish piece of wall art! and will look good? You must be thinking that you have exhausted all your resources to come up with something unique, but that is because you have not heard about wood prints. Want to learn more? 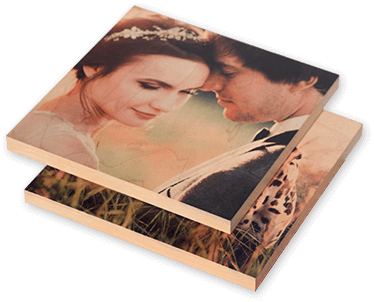 sublimation printing method.This method does not involve printing a picture and then sticking it on a wooden slab. 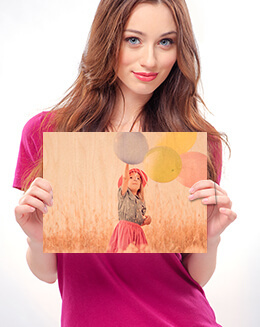 Wood printing means that you print the picture directly on wood that will give you clear and vibrant results. 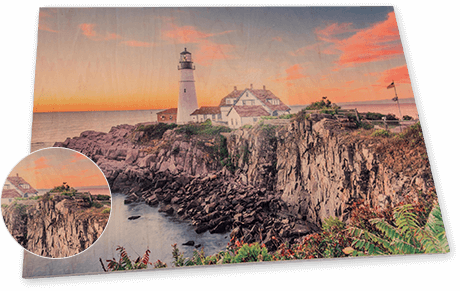 and with the help of a specialized process; we print the picture directly on a premium Baltic birch wood. The end result is high quality pictures that have amazing clarity and vibrant colors. Who would say no to happy memories? Show your loved ones what they mean to you by presenting them all the memories that you have made together. This is the perfect anniversary gift as you can show your better half what a beautiful life you two have made together. Yes, you read that right! We offer discounts on bulk orders! 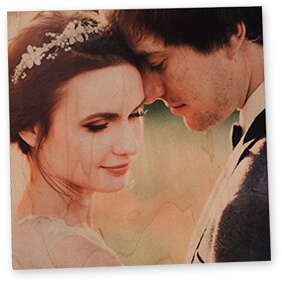 If you have a large order, please email us at sales@canvaschamp.com.au or click here to request a custom quote.